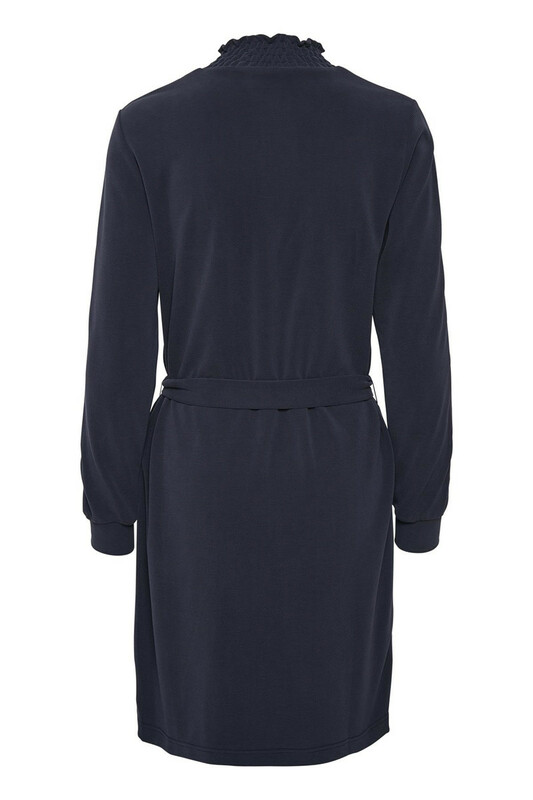 Soft and sporty dress from KAFFE. The dress has a stand collar with ruffles and zip fastener, long sleeves with ribbing and the length is just above the knee. 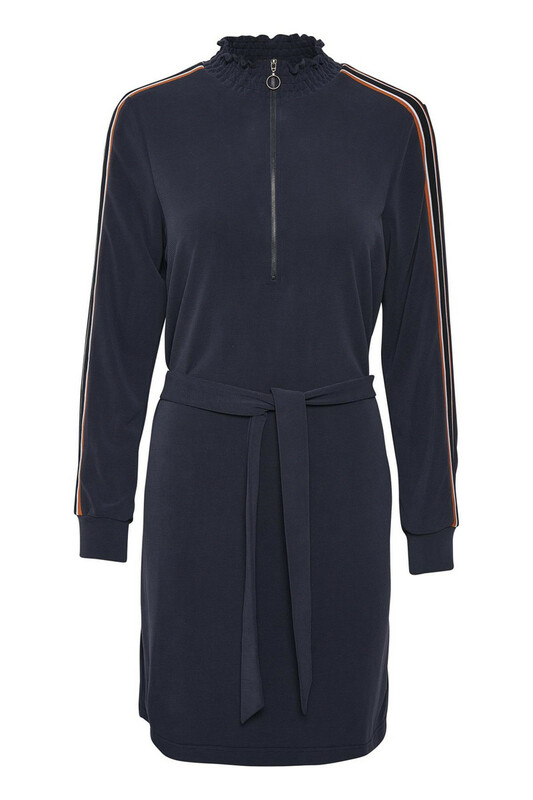 The stylish dress gets its sporty look from the fine details on the sleeves. Furthermore, it's possible to use the dress with loose fit or tighten the tie belt at the waist and get a more feminine silhouette. The quality is absolutely fantastic to wear and has a very good stretchy quality.